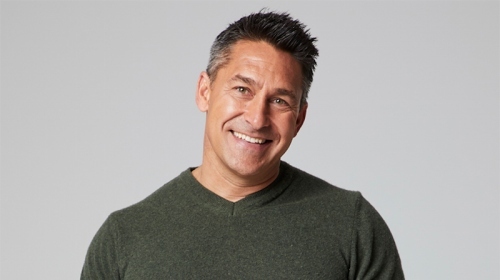 Jamie Durie is a qualified horticulturalist and landscape designer and founder and Director of the international award-winning company PATIO Landscape Architecture & Design. He is also a television host and producer, the author of 7 best-selling titles (Outside, The Source Book Editions 1 and 2, Inspired, Outdoor Kids, The Outdoor Room and Patio – Garden Design and Inspiration), and has his own successful line of merchandised product PATIO by Jamie Durie, available exclusively through Big W.
A committed environmentalist and pioneer of ‘The Outdoor Room’ concept in Australia, Jamie has completely changed the face of landscape design, inspiring a whole new generation to rediscover their garden. 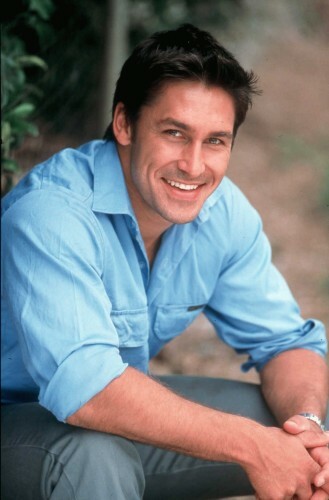 Undoubtedly one of Australia’s most recognisable talents, Jamie has hosted many of Australia’s top-rating television programs, including “The Outdoor Room”, “Australia’s Best Backyards”, “Backyard Blitz” – for which he received the Logie award for Most Popular Male Talent, as well as six consecutive Logie awards for Most Popular Lifestyle Program, “The Block” and “Torvill and Dean’s Dancing on Ice”. In the US, Jamie’s new show “The Outdoor Room”, launched on HGTV in January. He also hosted the dynamic design makeover show HGTV Showdown, as well as America’s longest running gardening program “The Victory Garden”, which airs on PBS, and appears regularly on “The Oprah Winfrey Show” offering garden advice and inspiration. An advocate for preserving our natural surroundings and environmental future, Jamie is also passionately involved with environmental and charity work. He trained with former Vice President Al Gore as a Climate Change Ambassador and regularly participates in environmental lectures around the world. He is an Ambassador for PLAN International, the Children’s Cancer Institute, Planet Ark, and National Tree Day. He also hosted the Australian Conservation Foundation’s Spirituality and Sustainability Forum with His Holiness the Dalai Lama, and is an ambassador and former board member of the Royal Botanic Gardens Foundation, Sydney. Invited to exhibit and compete at international garden shows around the world including Australia, Singapore, Japan, New Zealand, Thailand, Malaysia and most recently, the prestigious Chelsea Flower Show in the UK. Gold medal – Chelsea Flower Show, London (2008). Gold medal – Sydney in Bloom, Australia. Gold medal – Melbourne International Flower and Garden Show, Australia. Gold medal – Singapore Garden Show, Singapore. Gold medal – Ellerslie International Flower Show, New Zealand. Second place – Pacific Flora International (World Garden Competition), Japan. Silver medal – Melbourne International Flower and Garden Show, Australia.